Installations by Piet.sO and Peter Keene. Upon invitation from the Centre des monuments nationaux, the artists Piet.sO and Peter Keene have installed works on the first floor of the château that explore the imagination of the Renaissance. 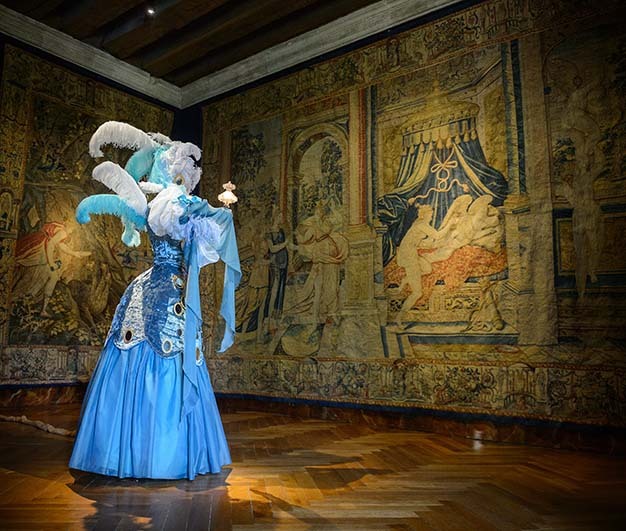 Les enchantements d’Azay offer a dreamlike journey, inspired by the figures of the magician Armide and Psyche, both represented in the château’s tapestries: Jerusalem Delivered and The Story of Psyche. 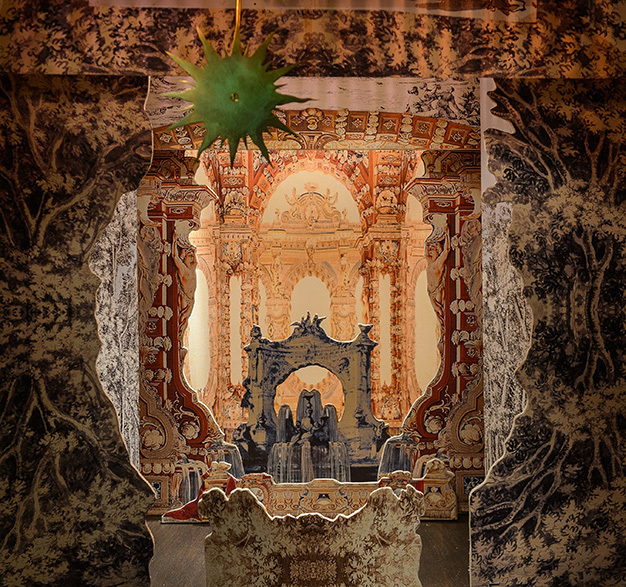 In reference to the Renaissance artists who were invited to transform châteaux into enchanted palaces, Piet.sO and Peter Keene have drawn on the artifices of theatrical arts from the period to create six installations animated by fantastical objects. 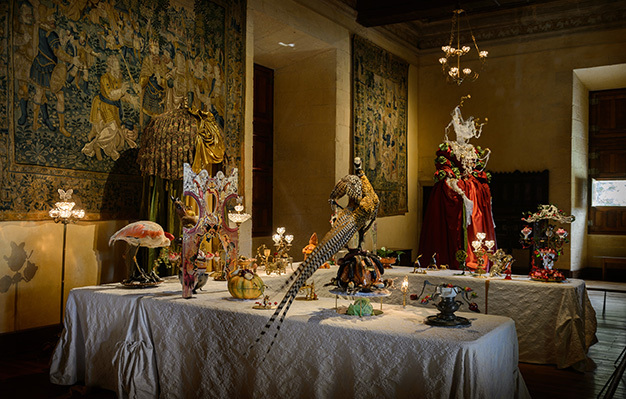 Miniature worlds, automatons, a banquet full of mobile creatures, immense dresses, animated theatre, secret furniture and a book of chimerical shadows are some of the “joyful surprises” imagined by the artists. The artistic world of Piet.sO and Peter Keene come together around the concept of memory, which they fashion into their individual works in their own way: Piet.sO, by re-appropriating tales and myths, in a half-melancholic, half-mischievous game, peopled with wedding dresses and vanities; Peter Keene, by exploring the utopia of the history of science through mechanical and sound installations. Since they met in 2001, they have merged their artistic sensitivities to work as a pair.